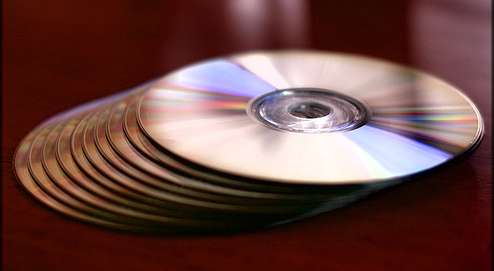 The internet has made it easier than ever to share media and data with friends, family, and co-workers, but that doesn't mean burning your own CDs and DVDs is a thing of the past. Blank optical discs are dirt cheap, they work virtually everywhere, and if you bought your computer sometime in the last 5 years, chances are you've got the necessary hardware to quickly burn anything you want to a disc in just a few minutes. Now all you need is the right authoring tools. Photo by the trial. 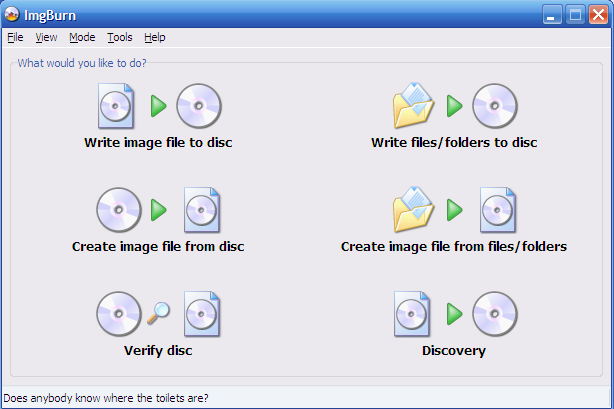 InfraRecorder is a free, open-source CD and DVD burning application for Windows. InfraRecorder covers almost any of your optical needs, including support for burning disc images, copying discs, creating quick audio CDs, writing video DVDs, erasing discs, and more. InfraRecorder is lightweight and decidedly bloat-free, and it's even available as a portable app you can carry on your thumb drive to satisfy your burning needs no matter where you are. ImgBurn is a free CD and DVD Swiss Army knife for Windows (it also runs on Linux under Wine). ImgBurn can write data from a variety of formats, burns audio CDs, ISOs, and video DVDs, including regular DVD, HD DVD, and Blu-ray DVD. As an added bonus, ImgBurn can read a disc to an image on your hard drive and build a disc image from files on your computer. It's fast, easy to use, and doesn't cost a cent. Incidentally, this app is still actively developed by the same developer who built the once very popular DVD Decrypter. K3b (which stands for KDE Burn Baby Burn) is an open-source burning application for Linux. Like the rest, K3b supports common tasks like burning audio CDs, data discs, disc images and disc copying. For movie lovers, K3b can even rip your DVDs to your hard drive in either of the popular DivX or Xvid formats. If you're running Linux, K3b is easily one of the most popular options for burning anything to your optical discs. CDBurnerXP is a free authoring software for Windows. 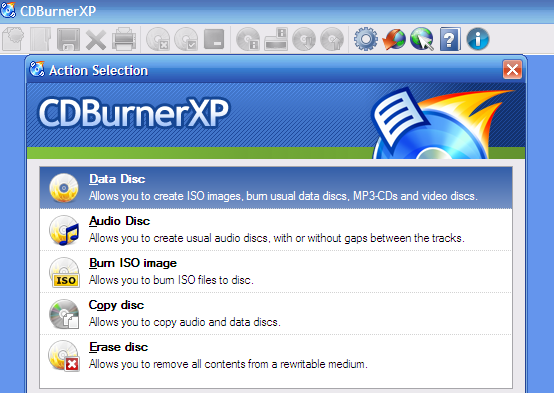 Despite its name, CDBurnerXP works with Windows Vista, 2000, 2003 Server, and XP; it also burns to CD and DVD, including HD and Blu-ray. It's got a small footprint, and like most of the other options, burns data discs, audio CDs, and ISOs without a hitch. CDBurnerXP is light, fast, and free, requires .NET 3.5. Nero 9 is a shareware optical media authoring tool for Windows that's long been the go-to favourite for robust, user-friendly CD and DVD burning for a price. Detractors complain that Nero is slow and bloated (and the 370MB download, 2GB free space requirement, and long install time doesn't inspire confidence to the contrary), but fans argue that you can install only what you need from Nero and that its simplicity more than makes up for the bloat. Nero 9 is a $US80 shareware (grab the trial here), Windows only, requires .NET 3.0. Linux users can give Nero Linux a go for $US25. 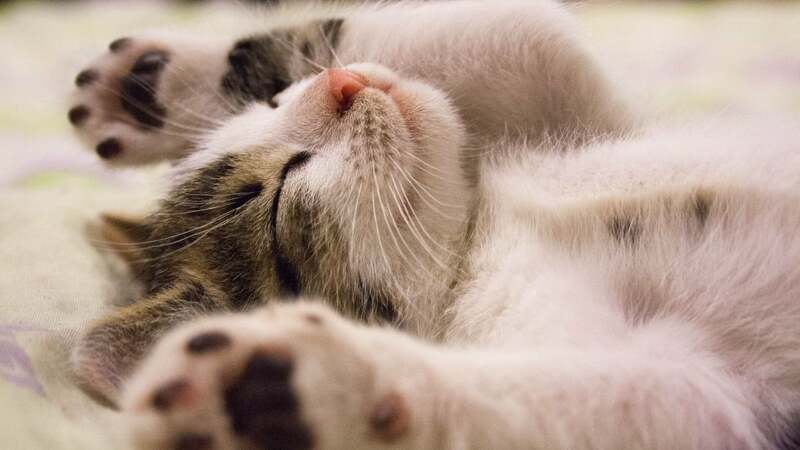 This week's honorable mentions go out to Windows-only applications BurnAware Free (original post) and Ashampoo (original post), followed by Linux-only Brasero (the Gnome counterpart to the KDE-focused K3b) and Mac OS X-only Toast. Whether or not the CD or DVD authoring tool that's the apple of your eye made the short list, let's hear more about it in the comments. Use CDburner XP until it started to run slow on my Vista home computer (still runs on my laptop Vista perfectly) so tried the Img burn. I didn't find it as easy as CD burner XP but would still recommended it if put off by the XP bit. I'm a big fan of DeepBurner. Download the portable edition and just extract DeepBurner.exe and bass.dll and you have a tiny solution!